U.S. Army Special Operations Command is looking to kit up the 75th Ranger Regiment’s dogs with new vests, cameras and sensors. 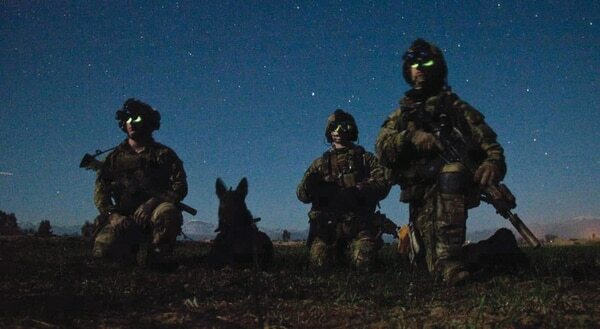 To do that, USASOC is seeking proposals for multi-purpose gear that can be issued to the 75th Ranger Regiment’s regimental dog program, according to a statement of work posted Wednesday. The Rangers’ regimental dog program trains multi-purpose canines and their handlers in support of Ranger combat operations around the world. While most military working dogs are trained for specific tasks, the multi-purpose canine is intended to mirror the versatility of their special operations handler. The statement from USASOC reflects that versatility, asking for proposal packages that include tactical vests, cameras and sensors to be worn on their dogs, while still keeping the animal light and lethal. Tactical vests weighing roughly 1.5 to three pounds and custom fit to each dog. 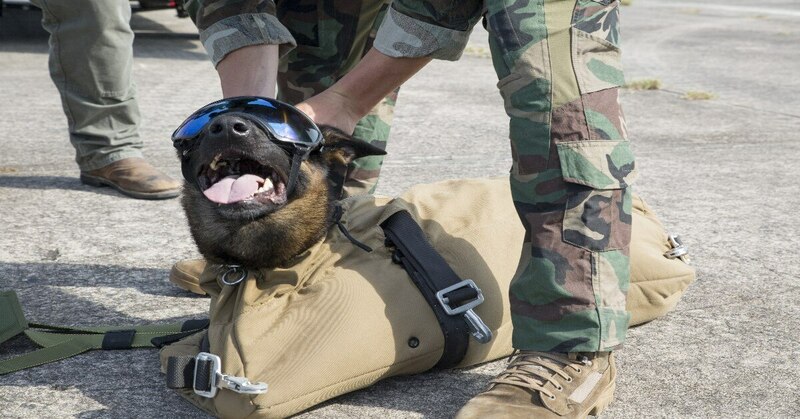 The vest should facilitate the insertion and employment of the canines in support of Ranger operations. A camera system that provides real-time video to the dog’s handler during missions. The system should be waterproof, protected with a cover and mounted on a flexible arm allowing rotation and pivoting. A sensor system that weighs no more than eight ounces and includes a green light, infrared light, high power strobes, programmable voice command feature, and a battery life of 36 hours. Custom sizing and fabrication of vests to the canines during the Regimental Advance Handler Course at Fort Benning, Georgia, during the period of performance in order to size vests to specific dogs. Lifetime warranties for the tactical vests, a minimum of a two-year warranty for the camera and sensor systems, and a minimum of a 90-day warranty for the camera system’s battery. Perhaps most important, the statement asks that contractors be familiar with “current tactics, techniques and procedures” of Ranger-canine combined missions. The statement notes the period of performance will occur from Feb. 1, 2018, through Jan. 31, 2023. Proposals are due by 10 a.m. Eastern time on Jan. 19.